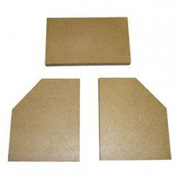 Here at Fire Bricks we supply high quality replacement stove fire bricks, 25mm thick (30mm available at 20% extra charge) to suit a wide range of stoves and other heating appliances. All of our fire bricks are cut to order especially for you, so simply complete the form below with the size of brick you need, then click the calculate button and it will work out the price for your brick. Once you are ready, just add it to your basket and checkout. 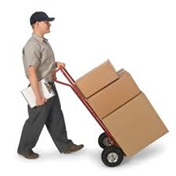 We will then start preparing your order for you and ship it out to you as fast as we can. Larger quantities available on request. Note : Shaped Bricks are any non-standard rectangular / square shape (we will require a template or exact scale drawing). 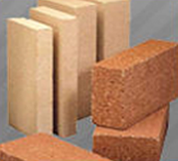 There are quite a few reasons why one might consider finding replacement fire bricks. Sometimes, the fire bricks supplied with the stove are not of the highest quality and can crack due to the heat, they may split to due to over firing or being struck by fuel. Once you have purchased the fire bricks, setting it up is extremely simple. Just take note how your old fire bricks were installed and reproduce the effect with the new one(s). We stock only the highest quality replacement fire bricks, so when you purchase bricks from us, you can be sure of a great long lasting effect. Our bricks are of the highest quality and better than some manufacturers supply as standard, and at a fraction of the price of the manufacturers equivalent replacement. Our bricks are made of a ceramic material (vermiculite), similar to that use for gas fire coals / pebbles and they are beige in colour. Launched in 2007, now one of the UK's largest online fireplace websites. Launched in 2011 and focussed on spares and accessories for multi-fuel and gas appliances. Launched in 2011, now the premier custom cut glass site in the UK.